Twins Ana and Jason and their cousin Nicholas are successful thirtysomethings who are single and loving it. They have no idea that their relatives are betting on which one of them will get married first. But by the family's New Year's Eve reunion, will all three have learned what it means to be lucky in love? 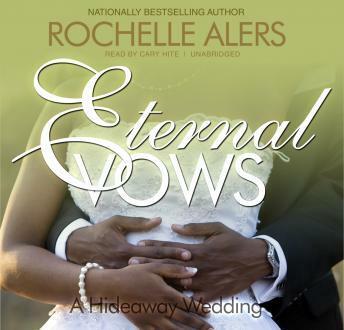 Rochelle Alers' Hideaway Wedding trilogy continues with the story of Nicholas. Among Virginia's horse-country elite, Nicholas Cole-Thomas is the ultimate eligible bachelor. After escaping one disastrous relationship, he plans to remain single. Yet when the beautiful veterinarian working on his horse farm needs help, he invites her to stay under his roof. And the closer he gets to her, the closer he wants to be. Blurring the lines between business and pleasure is risky for Peyton Blackstone. It's not just Nicholas' charisma but his gentleness that enthralls her. But when trouble from her past resurfaces, will he be man enough to trust her-no matter what the consequences?